Dave Cowper was a wonderful servant of the Richmond Cricket Club. 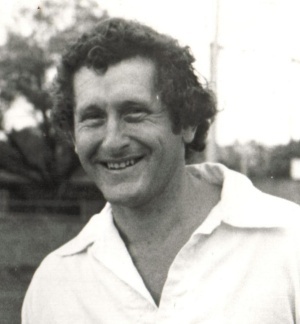 Having played 3 matches with Hawthorn/East Melbourne in 1957/58, Dave moved to Punt Road the following season and, between 1958/59 and 1979/80 for the Tigers, took his number of VCA dismissals to 595 (531 catches and 64 stumpings). This remained an all-time VCA record until Rob Templeton surpassed it in the mid 1990s. His 294 matches for the Tigers remains a club record. Dave was Club Champion in 1961/62 and 1962/63 and scored 3548 runs @ 16.13 in his career at Richmond. Selected for Victoria in 1965/66, Dave’s two-match first class career ended with a batting average of 94 and two catches. In the match against the touring Englishmen, Dave scored 60 not out in an unbroken eighth wicket partnership of 122 with Graeme Watson. After just one more match against Western Australia, the injured Ray Jordon returned and Cowper never got another chance. “The bowlers were fortunate to have behind the wickets, a young ‘keeper, then in the first of his record-breaking 22 first eleven seasons with the club, Dave Cowper. Cowper’s agility behind the stumps was destined to become as renowned as his brother Bob’s skill with the bat for Hawthorn-East Melbourne, Victoria and Australia. It was reported in 1959 that Dave brought off some freakish catches off the Richmond fast bowlers and proved himself to be a useful middle-order batsman."